To have equal representation in this country we need to make sure all communities have their voices heard and are counted. Unfortunately, Commerce Secretary Wilbur Ross&apos;s decision to include a question on citizenship in the census adds an extra barrier to a process that should be easily accessible. It's critical that the census count accurately reflects the composition of our communities. We cannot stand for this intimidation tactic that discourages immigrants and communities of color from participating in a key public process. Congress has the power to hold the Trump administration accountable and stop this dangerous plan in its tracks. 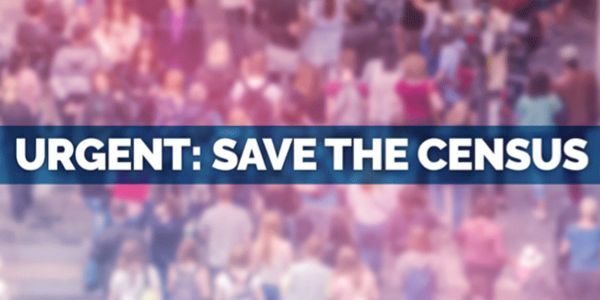 Join the fight for an accurate census now — send a message to your members of Congress and demand that the citizenship question be REMOVED from the census. The U.S. Census is essential in the redrawing of our congressional and legislative districts and budgeting decisions that impact our communities fundamental institutions, such as schools and hospitals. For the proper resources to be allocated to communities, it is our duty to ensure that we have an accurate census. The citizenship question does not allow for this. I demand that the citizenship question is removed from the census. It is a hindrance to a constitutional process and it is immoral to intimidate and silence people of color in this process. Every American should be heard regardless of status and we will not allow for this sort of anti-immigrant tactic to stand.